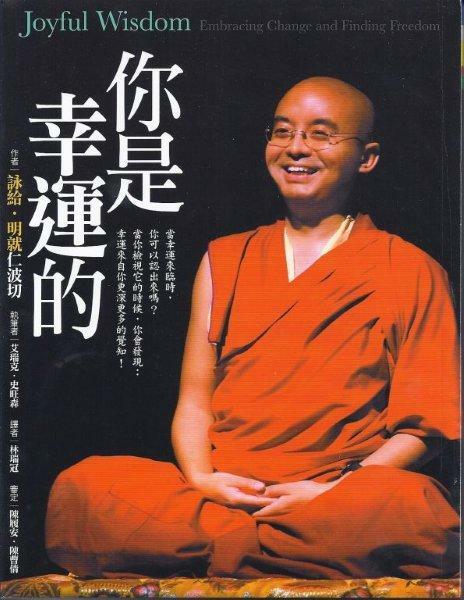 Mingyur Rinpoche’s popular book, Joyful Wisdom, is now available in a Chinese Edition. The Yongey Buddhist Center is fortunate to have a limited number of these books personally signed by Mingyur Rinpoche available for the price of $25 (plus shipping). Please contact the Center 408-263-2740 if you would like to order one of these signed special books.